Biyn-branded hardware products purchased in the U.S. or Canada come with either a 1-year, 2-year, 3-year or limited warranty, depending on the product purchased. To determine which warranty came with your hardware product(s), see your packing slip or invoice. The following sections describe the limited warranties and return policy for the U.S. This limited warranty covers defects in materials and workmanship in your – our end-user customer’s – Biyn-branded hardware products, including Biyn-branded peripheral products. (a) to damage caused by use with non-Biyn products; (b) to damage caused by accident, abuse, misuse, flood, fire, earthquake or other external causes; (c) to damage caused by operating the product outside the permitted or intended uses described by Biyn; (d) to damage caused by service (including upgrades and expansions) performed by anyone who is not a representative of Biyn or an Biyn Authorized Service Provider; (e) to a product or part that has been modified to significantly alter functionality or capability without the written permission of Biyn; (f) to consumable parts, such as batteries, unless damage has occurred due to a defect in materials or workmanship; or (g) if any Biyn serial number has been removed or defaced (h) to problems caused by viruses, trojan horses, or hackers. This warranty gives you specific legal rights, and you may also have other rights which vary from state to state (or jurisdiction to jurisdiction). Biyn’s responsibility for malfunctions and defects in hardware is limited to repair and replacement as set forth in this warranty statement. All express and implied warranties for the product, including but not limited to any implied warranties and conditions of merchantability and fitness for a particular purpose, are limited in time to the term of the limited warranty period reflected on your packing slip or invoice. No warranties, whether express or implied, will apply after the limited warranty period has expired. Some states do not allow limitations on how long an implied warranty lasts, so this limitation may not apply to you. If your product is capable of storing data or software programs, you should make periodic backup copies of the data and programs contained on the product’s hard drive or other storage media to protect your data and as a precaution against possible operational failures. Before you deliver your product for warranty service it is your responsibility to keep a separate backup copy of the system software, application software and data, and disable any security passwords. You will be responsible for reinstalling all such software, data and passwords. Biyn and its Authorized Service Providers are not liable for any damage to or loss of any programs, data, or other information stored on any media, or any non-Biyn product or part not covered by this warranty. Recovery and/or preservation user data are not covered under this Limited Warranty. If you enable the “Enable password removal” feature to enhance security, there is no way for you to reset the password without reformatting reinstalling the entire system. This is by design to limit the possiblity of being cracked, so it is ESSENTIAL for you to remember your administrator password. The limited warranty on all Biyn-branded products begins on the date of the packing slip or invoice. The warranty period is not extended if we repair or replace a warranted product or any parts. Biyn may change the availability of limited warranties, at its discretion, but any changes will not be retroactive. Before the warranty expires, please call us at the relevant number listed on our web site. Please also have your Biyn Serial Number or Invoice Number available. During the first year of all other limited warranties: During the 90 days of the 90-day limited warranty and the first year of all other limited warranties, we will repair any Biyn-branded hardware products returned to us that prove to be defective in materials or workmanship. If we are not able to repair the product, we will replace it with a comparable product that is new or refurbished. Before you ship the product(s) to us, make sure to back up the data on the hard drive(s) and any other storage device(s) in the product(s). Remove any confidential, proprietary, or personal information and removable media such as floppy disks, CDs, or PC Cards. We are not responsible for any of your confidential, proprietary, or personal information; lost or corrupted data; or damaged or lost removable media. INCLUDE the original system media. This includes OS install discs, Biyn DVR software install discs, and driver discs. This media will be returned to you. During the remaining years: For the remaining period of the limited warranty, depending on the failure, we will replace any defective part with new or refurbished parts, if we agree that it needs to be replaced. When you contact us, we will require a valid credit card number at the time you request a replacement part, but we will not charge you for the replacement part as long as you return the original part to us within 15 days after we ship the replacement part to you. If we do not receive the original part within 15 days, we will charge to your credit card the then-current standard price for that part. NOTE: Before you replace parts, make sure to back up the data on the hard drive(s) and any other storage device(s) in the product(s). We are not responsible for lost or corrupted data. We use new and refurbished parts made by various manufacturers in performing warranty repairs and in building replacement parts and systems. Refurbished parts and systems are parts or systems that have been returned to Biyn, some of which were never used by a customer. All parts and systems are inspected and tested for quality. Replacement parts and systems are covered for the remaining period of the limited warranty for the product you bought. Biyn owns all parts removed from repaired products. Biyn will stress test all repaired units for a period of 24 hours after the repair before shipping the unit back to the customer. Of course; limited warranties on systems may be transferred if the current owner transfers ownership of the system and records the transfer with us. You may record your transfer by emailing or faxing details of the transaction to Biyn. Refer to the Biyn DVR web site for contact information. Hardware Products and Accessories: Unless you have a separate agreement with Biyn or except as provided in the section below, all hardware, accessories, peripherals, parts and software that is unopened and still in its/their sealed package or, if delivered electronically, that has not been downloaded, may be returned within ten (10) days from the date on the packing slip or invoice for a credit or a refund of the purchase price paid, less shipping and handling and applicable restocking fees. Application software or an operating system that has been installed by Biyn may not be returned unless you return the entire computer under the 10-day return policy, if applicable to your purchase (if not applicable to your purchase, you may not return application software or an operating system). Media such as backup tapes, optical media, and flash memory are nonreturnable. Restocking Fees: Unless the product is defective or the return is a direct result of a Biyn error, a restocking fee of will be charged on hardware, accessories, peripherals, parts and unopened software still in its/their sealed package, and on software that has not been downloaded if the software is delivered electronically. Please refer to the following table to find the restocking fees. How to Return: To return products, you must contact Biyn customer service and receive a Return Merchandise Authorization (RMA) number within the return policy period applicable to the product you want to return. You must obtain an RMA in order to return the product. See our contact page or refer to emails received from Biyn to find the appropriate contact information for obtaining customer assistance. Ship back all products you are seeking to return to Biyn. At Biyn’s discretion, credit for partial returns may be less than invoice or individual component prices due to bundled or promotional pricing and any unadvertised discounts or concessions. Upon receipt of the complete returned purchase, Biyn will issue a credit or a refund of the purchase price paid, less shipping and handling and applicable restocking fees. Before you ship the product(s) to us, make sure to back up the data on the hard drive(s) and any other storage device(s) in the product(s). Remove any confidential, proprietary or personal information, removable media, such as floppy disks, CDs, or PC Cards. We are not responsible for any of your confidential, proprietary or personal information; lost or corrupted data; or damaged or lost removable media. This warranty gives you specific legal rights, and you may also have other rights which vary from state to state (or jurisdiction to jurisdiction). Biyn’s responsibility for malfunctions and defects in hardware is limited to replacement as set for the in this warranty statement. For canadian customers, except for the express warranties contained in this warranty statement, Biyn disclaims all other warranties and conditions, express or implied, statutory or otherwise, for the product. 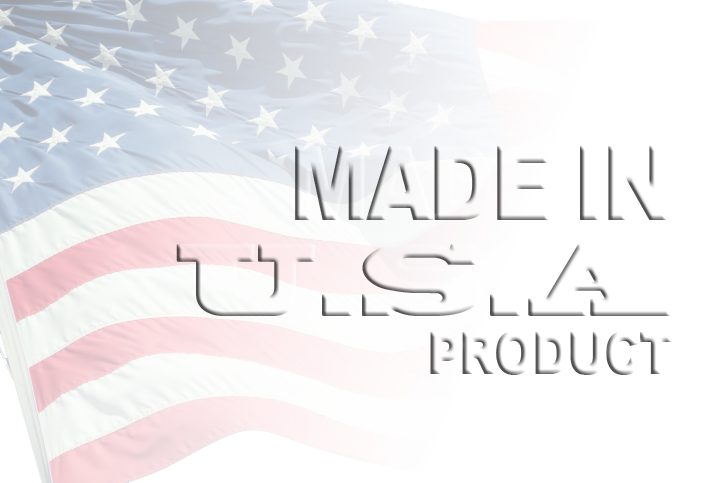 For u.s. customers, all express and implied warranties for the product, including but not limited to any implied warranties and conditions of merchantability and fitness for a particular purpose are limited in time to the term of this limited warranty. No warranties, whether express or implied, will apply after the limited warranty period has expired. Some states or jurisdictions do not allow the exclusion of certain implied warranties or conditions, or limitations on how long an implied warranty or condition lasts, so this limitation may not apply to you. This warranty coverage terminates if you sell or otherwise transfer this product to another party. Biyn does not accept liability beyond the remedies provided for in this limited warranty or for special, indirect, consequential or incidental damages, including, without limitation, any liability for third-party claims against you for damages, for products not being available for use, or for lost data or lost software. Biyn’s liability will be no more than the amount you paid for the product that is the subject of a claim. This is the maximum amount for which biyn is responsible. Some states or jurisdictions do not allow the exclusion or limitation of special, indirect, incidental or consequential damages, so the above limitation or exclusion may not apply to you. For customer convenience Biyn does offer a password reset service for a fee. Customer is responsible for shipping cost both ways. Contact Biyn for details. Biyn strongly recommends customer documents administrator password and stores it in a safe place. For customer convenience, should hard drives fail and customer does not swap them in time, Biyn does offer data recovery services at competitive rates. Biyn strongly recommends that customers monitor RAID status and that customers replace failed drives in a timely fashion.